Dr. Robert Lightner completed this book in the very last days of his life. It is a book that displays a professor’s mind and the pastor’s heart, while guiding the reader to grow in love and devotion to our Savior. Dr. Lightner penned more than 25 books in his lifetime, affecting hundreds of thousands of people. Here’s the reason he wrote this book in his own words. “My goal in writing this volume is to show how four great doctrines: Christ, His church, His cross and His crown relate to each other. How one interprets the Bible teaching of any of the four should be consistently applied to each of the other three. Interestingly, there are several proper names given to the second member of the Holy Trinity in the Bible. Here are some of the most common ones: Jesus, Jesus Christ, Son of Man, Christ, Son of God, Master, Son of David, Lord, Lamb of God, Jesus of Nazareth, Jesus the Nazarene, Lord Jesus and the Lord Jesus Christ. I believe that the last one is especially significant. It is his fullest and most complete name. “Lord” describes Him as the master, the sovereign of and over everything. “Jesus” describes Him in His humility. And “Christ” assigns Him as the Anointed One, the Messiah. Thus I have used this name in the title of the book. Three primary names for God the Father in the Old Testament are God (Elohim), LORD (Yahweh), and Lord (Adonai). These names reveal much about God’s character, so too the New Testament names of God the Son do the same. In both cases, the names are revelations of the character of each. There is no doubt the names of persons in the Bible convey meaning. They are not mere titles. 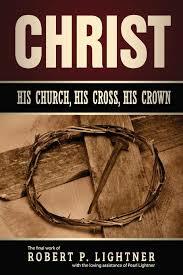 Many good individual volumes have been written about the Christ of scripture, His church, His cross, and His crown. Most of these, however, deal with the themes of this book in isolation with each other. In this book, I have set forth not only the major biblical teaching on each of the themes, but also the importance of seeing how the truths of Christ, His church, His cross and His crown relate to each other. I have tried to show the connections between the four and how each is dependent upon the others. I have written with firm conviction that it is impossible to consistently view the teaching of Scripture while viewing any one of these four in isolation from any one of the other three. They build on each other and need to be viewed as interrelated, essential aspects of the sovereign purpose of God. In Part 1 of the book we will learn some essential facts of the Person of the Lord Jesus Christ. He is both the Jesus of history and the Biblical Jesus. In Part 2, Christ’s church will be discussed. We will distinguish between the church, which is described in Scripture as His body and the local church in the New Testament. Attention will be given to the liberal ecumenical movement, with its goal of a one world church and one world government. When did the church, which is the body of Christ begin? When will it be terminated on Earth? In Part 3 we will look at the cross work of Christ; it’s anticipation, necessity, accomplishments, extent of it’s benefits, and it’s relationship to the believer’s life today. 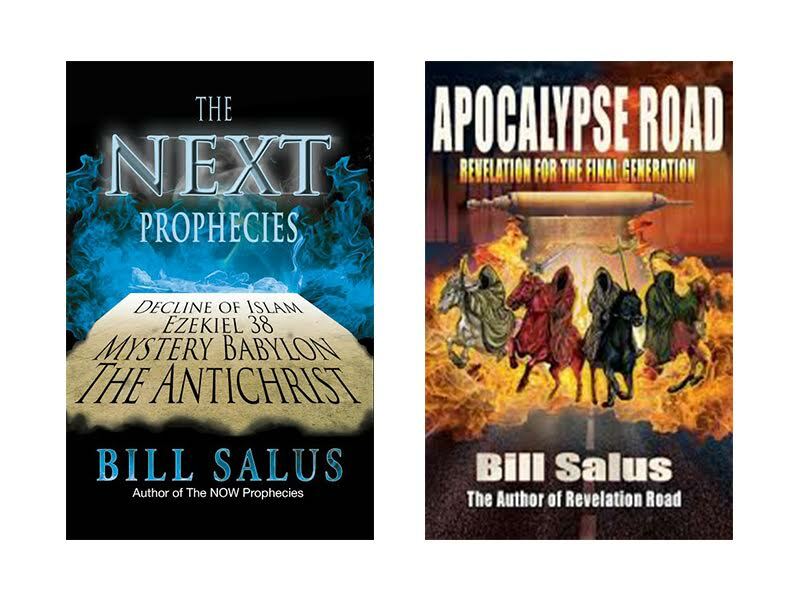 Part 4 of the book will delve into what I call the Crown of Christ—His teaching about the coming kingdom. We will observe what the Old and New Testaments say about the coming physical kingdom on Earth. What precedes the kingdom and follows it will also be discussed.